They feel overwhelmed with dozens of different scales that exist in music and simply give up on the idea of consciously “practicing” scales on guitar. Others think that they need to know as many scales as possible in order to become good musicians and end up jumping around from learning one scale to the next, at random. Guitarists in both groups typically struggle with learning how to use the guitar scales they know to create music. The good news is that there is a very simple process that will help you to learn to play guitar scales effectively, become a much more creative musician and have a lot more fun playing your guitar. 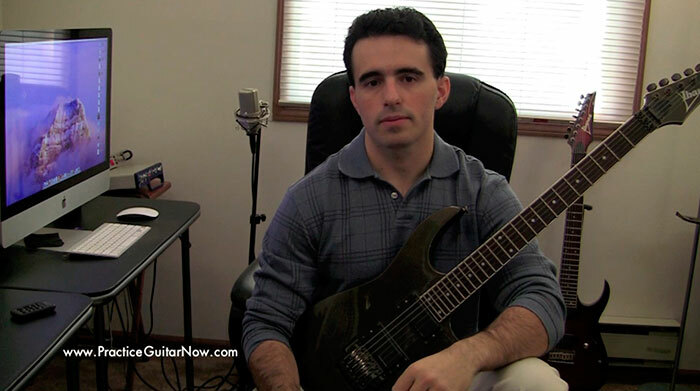 To watch (for free) this special video about practicing guitar scales, simply enter your name and e-mail address below and click the button: "Show Me The Video Now"
Don't worry, your e-mail address will NOT be given away or sold - I take your privacy seriously. © 2019 Guitar Mastery Solutions, Inc.